What question from a reporter has Reid Ryan so stumped? 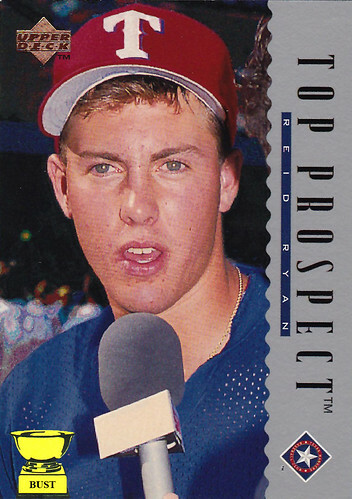 A) "How exactly are you a 'Top Prospect' when you're 0-10 with a 9.34 ERA?" B) "How are you going to celebrate your 14th birthday?" C) "Have you ever seen a grown man naked, Reid?" D) "Who did you steal that Rangers hat from, meat?" E) "Has your dad ever put you in a headlock?"